Carvings uncovered in the Canadian Arctic may be the earliest portraits of the Vikings created in the Americas. But archaeologists have been puzzling over whether the artwork really shows the infamous seafarers. 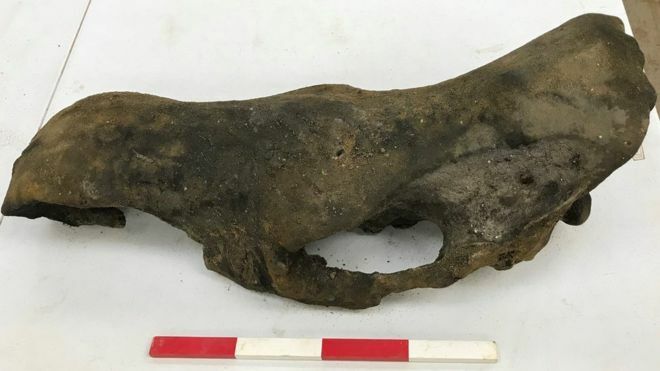 Now, scientists think a simple, flammable liquid called acetone could help solve this mystery by removing sea-mammal oil and fat from these artifacts and other artifacts found near them. Until now, those contaminants have prevented scientists from getting an accurate radiocarbon date, according to a paper published in the August issue of the Journal of Archaeological Science. The Vikings, along with other peoples who lived in arctic or subarctic environments, used oils and fat from sea mammals for a variety of purposes, including preparing food and cooking. The substances interfere with radiocarbon dating, because rather than getting the date of the artifact, you may get the date for the oil and fat covering the object, study authors Michele Hayeur Smith, Kevin Smith and Gørill Nilsen wrote in the new paper. A sandstone Thor’s hammer amulet has been found at the Viking-era farmstead Bergsstaðir in Þjórsárdalur valley. The site was last occupied 900 years ago and the amulet is believed to be around the same age. Only one Thor’s hammer has ever been found in Iceland before. “These are all objects from the Viking age,” said Ragnheiður Gylfadóttir, an archaeologist with Iceland’s Institute of Archaeology, speaking with ruv.is. When the team arrived at the site, she said, they quickly found rocks that looked like they could have been foundations for longhouse walls. 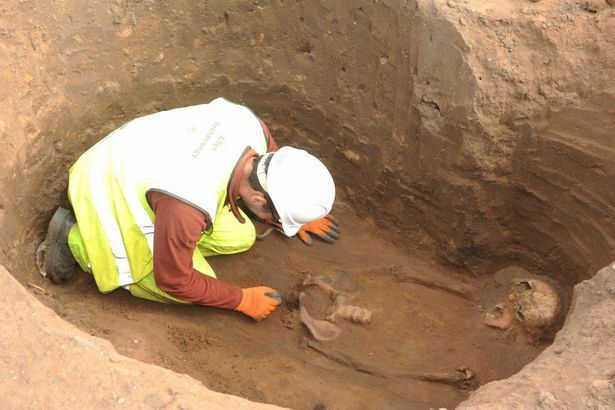 In addition, they found remnants of human habitation, such as an ash pile and burned bones. 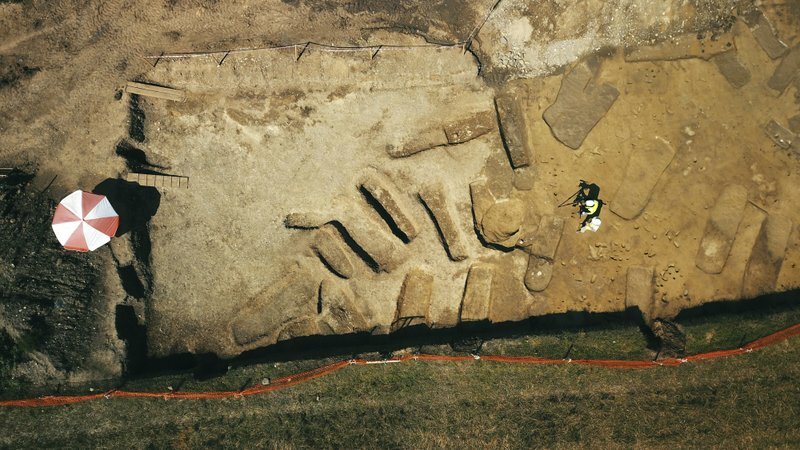 A recent archeological find in Þjórsárdalur valley in South Iceland reminds us just how much of the history of Viking Age Iceland is still shrouded in mystery. 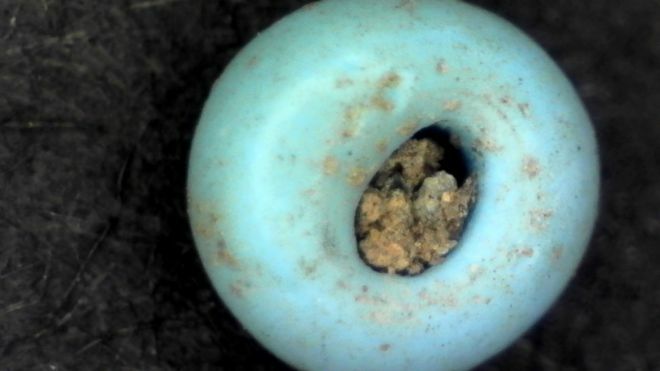 Several items, including a Thor's Hammer amulet, were discovered at a previously unknown farmstead. The farm is believed to have been abandoned after an eruption in Hekla volcano. A catastrophic eruption in Hekla in the year 1104 destroyed numerous farms in Þjórsárdalur valley. 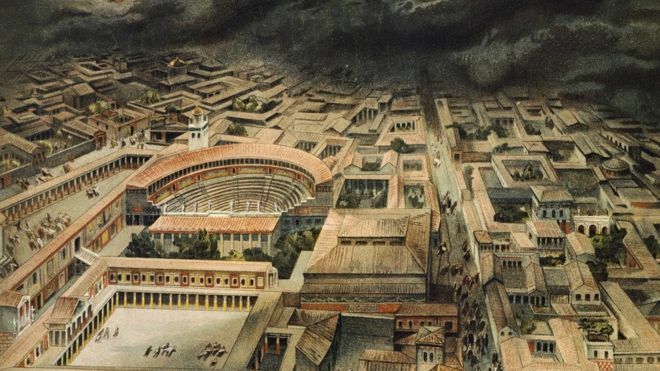 The thick ash and tephra deposited by the volcano left previously prosperous farmlands uninhabitable. Historians had knowledge of 20 different farms which were abandoned following the eruption. The number is up to 21 following the most recent find. THOR'S HAMMER The small amulet was carved out of sandstone. Most major archeological finds in Iceland in recent years have come as complete accidents, or during construction work. The discovery of a large Viking longhouse in downtown Reykjavík in the summer of 2015, a large burial site in North Iceland in the summer of 2017, and the discovery of a Viking sword by hunters in the summer of 2016 come to mind. The same applies to the latest archeological find dating back to the Viking Age. 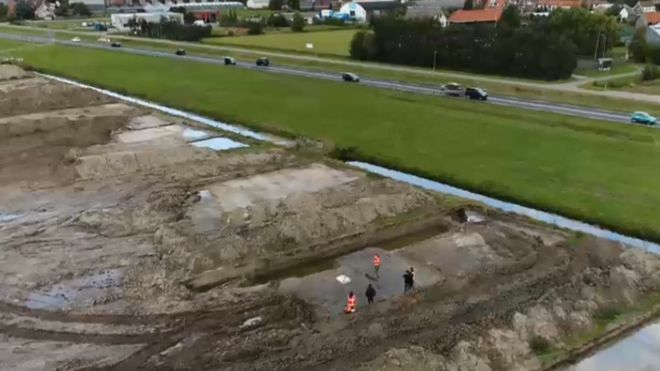 Archeologists who were registering sites in Þjórsárdalur valley in South Iceland last week found four items which have not been dated yet, but which are most likely from the first centuries of the settlement of Iceland. The items were found in a previously unexplored and unknown farmstead. 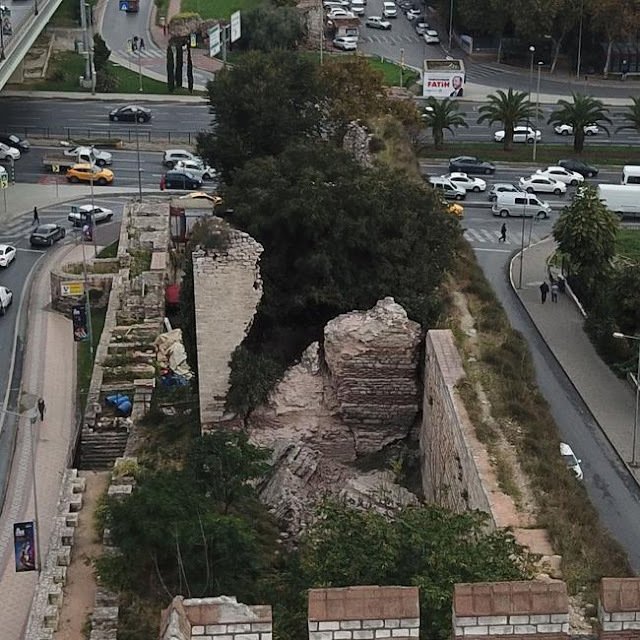 The site was discovered by a local who directed the archeologists to the location. During the registration the archeologists found four objects lying in the surface soil: A whet, an iron pick, a buckle and a small stone amulet in the shape of Thor's Hammer. Road workers building a new bypass have unearthed the Ice Age remains of a woolly mammoth and a woolly rhino. Palaeontologist Dean Lomax said discoveries like this were "exciting" and "quite uncommon". "This find is incredibly exciting as we only know three well-preserved Viking ship finds in Norway excavated long time ago. 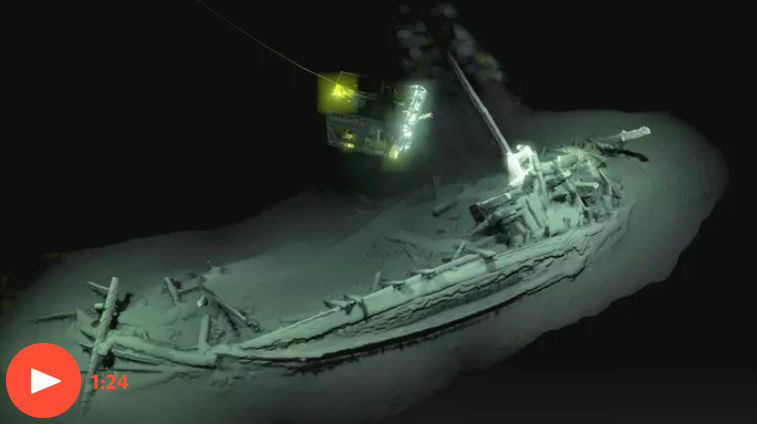 This new ship will certainly be of great historical significance as it can be investigated with all modern means of archaeology”, says Dr. Knut Paasche, Head of the Department of Digital Archaeology at NIKU, and an expert on Viking ships. Archaeologists said on Monday they have found what they believe are traces of a Viking ship buried in southeast Norway, a rare discovery that could shed light on the skilled navigators' expeditions in the Middle Ages. The boatlike shape was detected about 50 centimetres underground in a tumulus, a burial mound, with the use of a ground-penetrating radar in Halden, a municipality located southeast of Oslo. 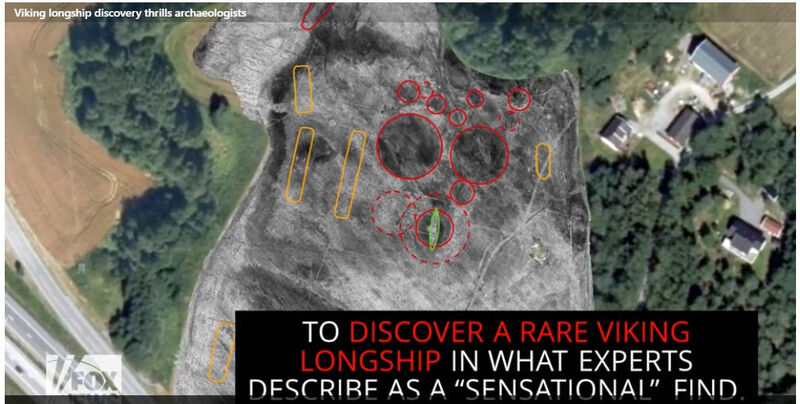 "In the middle of the mound, we discovered what is called an anomaly, something that is different from the rest and clearly has the shapes and dimensions of a Viking ship," Knut Paasche, an archaeologist at the Norwegian Institute for Cultural Heritage Research (NIKU), told AFP. "What we cannot say for sure is the condition of the conservation. Yes there was a boat there, but it's hard to say how much wood is left," Paasche said. "It's not every day that one steps on a sword in the lake!" Mikael Nordström from Jönköpings Läns Museum said when explaining the significance of the find. But that's exactly what happened to Saga Vanecek, who found the relic at the Vidöstern lake in Tånnö, Småland earlier this summer. "I picked it up and was going to drop it back in the water, but it had a handle, and I saw that it was a little bit pointy at the end and all rusty. I held it up in the air and I said 'Daddy, I found a sword!' When he saw that it bent and was rusty, he came running up and took it," she continued. The water at the lake by the family's summer house was low this year due to drought, which may have been part of the reason Saga was able to reach the sword. Because of this, the family was putting a buoy out in the lake to warn other boats of an underwater slab of concrete which was dangerous in the low water levels. Saga Vanecek found the relic in the Vidostern lake while at her family's holiday home in Jonkoping County. "It's not every day that you step on a sword in the lake!" Mikael Nordstrom from the museum said. Experts have described the discovery of the 1,500 year old relic as spectacular, saying that it was "about 85 centimeters long, and there is also preserved wood and metal around it." 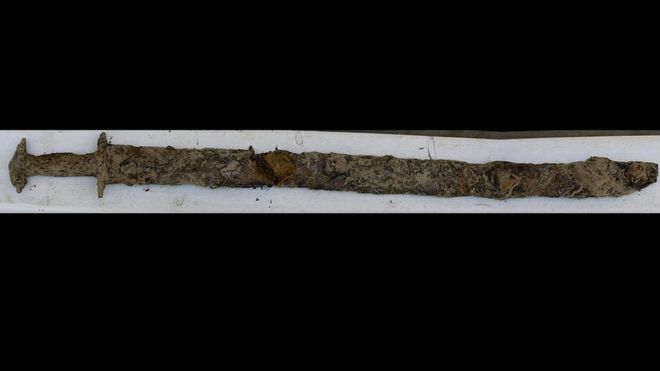 (CNN)An eight-year-old girl has discovered a pre-Viking-era sword in a Swedish lake, prompting locals to name her the "Queen of Sweden." Swedish-American Saga Vanecek found the ancient artifact while playing in Vidöstern lake during the summer near her family's holiday home in the south of the country. "I was outside in the water, throwing sticks and stones and stuff to see how far they skip, and then I found some kind of stick," Vanecek told The Local, a Swedish news website.